Summerlee Industrial Museum is a VisitScotland '4 Star' attraction and 'Best Working Attraction' award winner. Its 22 acres are based around the site of the 19th Century Summerlee Ironworks, a fore-runner in the use of what was at the time the ground-breaking hot blast iron smelting process that led Coatbridge to become known as the 'Iron Burgh'. The works closed in the 1930s and the site levelled. Excavated in 1985 as part of the heritage park's development, the site of the original ironworks can now be viewed from a special walkway. Summerlee's main exhibition hall has been completely refurbished, thanks to a £10m project supported by the Heritage Lottery Fund. 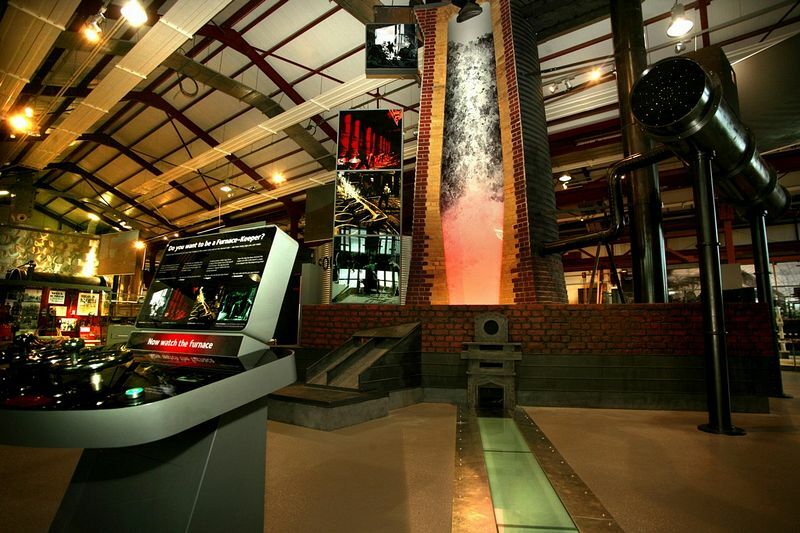 There is now a wider range of working machinery - including the huge winding wheel from the former Cardowan colliery - plus new interactive displays and 'hands on' activities, including a virtual reality blast furnace. The exhibition hall also contains a brand-new cafe, shop and toilets with baby-changing facilities. Summerlee also has an operational electric tramway, running Edwardian and modern tramcars on a half-kilometre track. There is a re-created addit mine and miners cottages where you can experience the miners' cramped working conditions and then see how mining folk lived from the 1840s to the 1960s in the cottages' recreated room settings. And if visiting Summerlee with kids, why not combine your visit with a trip to the Time Capsule, just along the road from us..? The Time Capsule is Scotland's greatest fun waterpark and has just re-opened after a multi-million pound refurbishment.